ðŸ”¥ 7 Foods that Balance Hormones and Help You Lose! What an awesome week itâ€™s been at the studio! We are so proud of you all for showing up and starting January strong. If you havenâ€™t read about Paige Colquittâ€™s Holiday Extravaganza transformation, check that out on our blog HERE. Have you ever felt like youâ€™re exercising and eating a better-balanced diet, but still seeing no progress? Still feeling sluggish? Often, unbalanced hormones can sabotage your goal of feeling your best. Your bodyâ€™s hormones help control everything from your metabolism to your bodyâ€™s fat storage. Today we want to introduce you to 7 superfoods you can add into your daily nutrition plan to revive your body to help you feel your best! Avocados contain a substance known as beta-sitosterol. Beta-sitosterol has been shown to significantly lower blood cholesterol levels, balance cortisol levels, and decrease inflammation in the body. And, you can add them to literally anything! Who doesnâ€™t love another reason to eat avocados? Almonds contain protein and fiber, and are known to slow the absorption of carbohydrates in the body. Studies have found that walnuts are also a good source of the hormone melatonin, which helps promote more restful sleep. Cinnamon has the ability to speed up the metabolism and stabilize blood sugar levels, which can help with weight loss. It also has anti-inflammatory and anti-bacterial properties that help keep your body healthy. In fact, itâ€™s the cinnamaldehyde in cinnamon that naturally helps balance the bodyâ€™s hormones. Add some cinnamon to your oatmeal or sprinkle some on an apple and enjoy a healthy snack! Studies have shown that green tea extract increases metabolism and helps the body burn fat. It provides a boost of energy while blocking the release of the stress hormone cortisol, which helps gut the accumulation of belly fat! It also helps you warm up on these cold winter days! Purchase our teamâ€™s favorite green tea on Amazon HERE. Pomegranates have amazing anti-cancer, anti-inflammatory, and antioxidant properties that help keep the body healthy and fight off disease. They also provide the same estrogens that the female ovaries produce â€“ estradiol, estrone, and estriol. Adding pomegranates to your diet can help reduce mood swings while helping your body combat breast cancer and heart disease. Adding turmeric to your meals will do more than just spice things up. Turmeric naturally reduces inflammation, pain, and swelling in the body. It also helps to balance your hormones and keep your immune system functioning properly! Sprinkle it on your food or make Turmeric Tea or Golden Milk for a warm drink. Get our teamâ€™s favorite Turmeric from Amazon HERE. 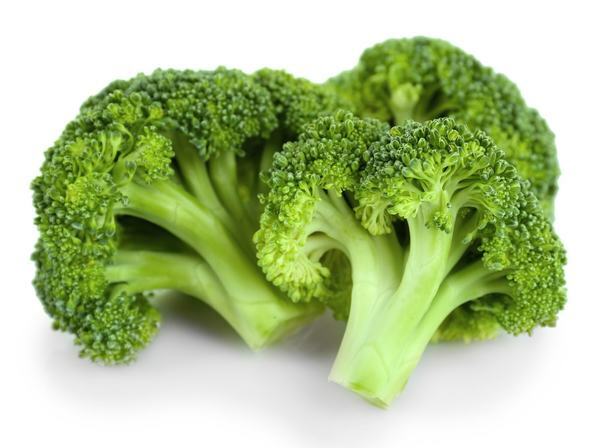 Broccoli contains high amounts of photochemical called indoles, which play a large role in estrogen metabolism. Indoles work to convert estrogen into a safer form for the body to metabolize, which reduces the risk of estrogen-linked cancer, including breast cancer and prostate cancer. Try introducing some of these super foods and drinks into your daily nutrition plan and see how much better you feel! Eating a well-balanced diet with plenty of nutrients will revive your body and help you live transformed. Weâ€™ve included a tasty recipe below that incorporates a few of these foods! Try it out and let us know what you thinkâ€” we love when you tag us in your social media posts! Place all the ingredients for the dressing in a blender and process for 20-30 seconds or until you reach a smooth consistency! Donâ€™t forget to sign up for sessions in advance on the app! If you have any questions or would like to schedule a one-on-one or nutrition counseling session, please email us at transfitathens@gmail.com.